Northern Star Records is a leading record label and distributor specialising in modern psychedelic music. I designed and built their website, including online shopping and order handling functionality, to focus on the ease of maintenance and handling of an e-commerce experience. 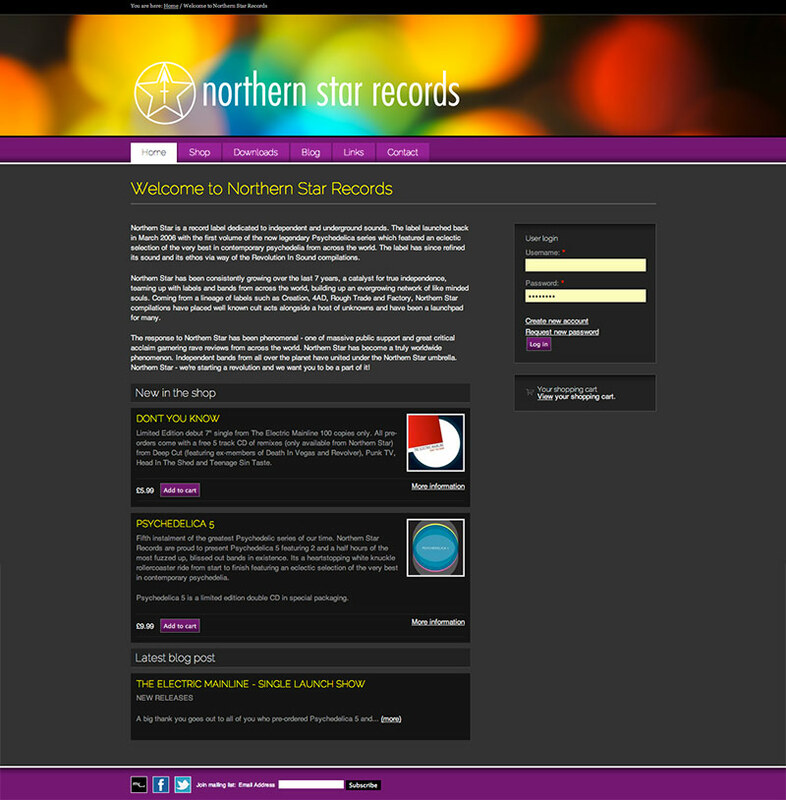 The website is now completely run by Northern Star Records, who add to and update content very regularly.